Zinc Borate is one multi-functional synergistic flame retardant with Antimony Oxide etc additives in polymers to improve Flame Retardant performance, it can reduce smoke evolution and adjust the balance of flame retardant properties versus mechanical, electrical and other properties. Remark: we can adjust particle size from 1-15um . Zinc Borate is widely used in PVC applications such as carpet, conveyor belt, wire and cable, and in Nylon, PE, PP etc engineering plastics of Halogen Free Flame Retardant systems based on Al(OH) 3 and Mg(OH) 3 , anti-corrossive pigment in intumescent coating and painting,ceramic glaze, milk glass, decorative paper etc fields.Zinc Borate is also used in wood composite as fungicide to prevent from decay fungi and subterranean termites . ZB2335 grade is the standard grade, its particle size is 3-5um which can meet most of applications of Zinc Borate. 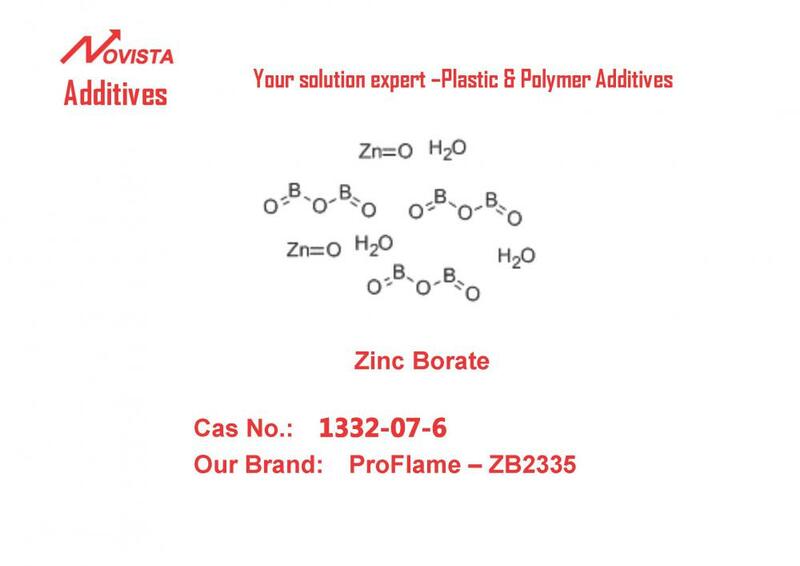 Looking for ideal Zinc Borate 2335 Fire Retardant 1332-07-6 Manufacturer & supplier ? We have a wide selection at great prices to help you get creative. All the Zinc Borate 2335 for Powder Coating 1332-07-6 are quality guaranteed. We are China Origin Factory of Zinc Borate 2335 Flame Retardant 1332-07-6. If you have any question, please feel free to contact us.